Technics PC Board for RCA Cable DJParts - All Variety of Parts that DJ Needs. 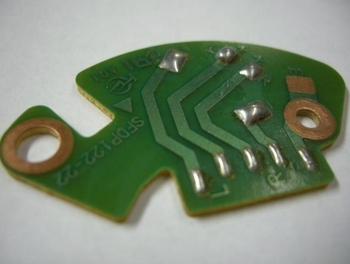 This is the Printed Circuit Board (P.C.B.) that connects your RCA phono cord cables to the tonearm cables. A very hard part to find them, all the way from Japan!